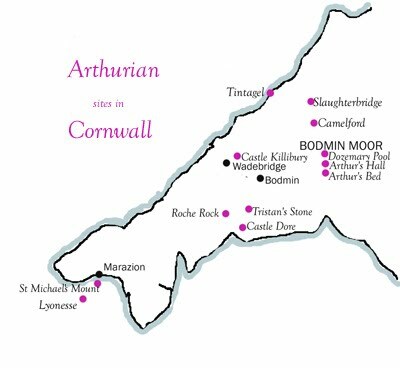 In the far Southwest of England, most of the historical locations associated with King Arthur are to be found in North Cornwall. A good starting place for those who wish to discover more about the Arthurian mythos is Tintagel, the gateway to King Arthur in Cornwall. Tintagel and many other Arthurian locations are within easy reach of the Atlantic Highway (A39), which runs close to the spectacular and dramatic coastline of North Devon and North Cornwall. Stories and theories abound as to the location of the legendary site of Camelot, where King Arthur held court with his knights of the round table. Is it Glastonbury or Cadbury Castle, in Somerset. 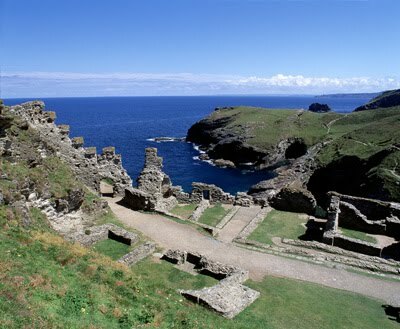 Tintagel or nearby Camelford in Cornwall?